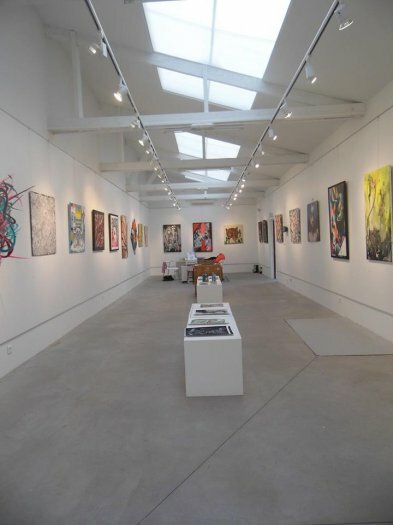 This art gallery is dedicated to graffiti, tags and all street art forms. Amarrage art gallery is a prime location in the heart of the Paris biggest flea market for street art, rue des rosiers. It consists of an indoor hall with overhead natural lighting and an outer courtyard. Street art paintings are displayed in the hall. Murals, collage or stencil works, graffiti and art installations are exhibited in the courtyard. Amarrage art gallery is headed by Cedric Naimi, author of the book “State of play, from graffiti to street art”; he is a member of the association “Graffart”. Open on Thursday PM and from Friday to Monday from 10:00 AM to 6:00 PM (by appointment other days). Do not miss out on Le MurSaint-Ouen in Marché Paul Bert and La manufacture 111 art gallery in Marché Dauphine.